Air pollution is a problem in German cities such as Munich, shown. BERLIN -- German carmakers must quickly address the problem of rising air pollution caused by diesel engines in several cities, the premiers of five German states said, adding that the issue should be solved by firms on a voluntary basis. Stephan Weil, premier of Lower Saxony and member of Volkswagen's 20-strong supervisory board that has the power to appoint and dismiss executives, said companies should implement measures in the short-term, adding: "Diesel is here to stay." 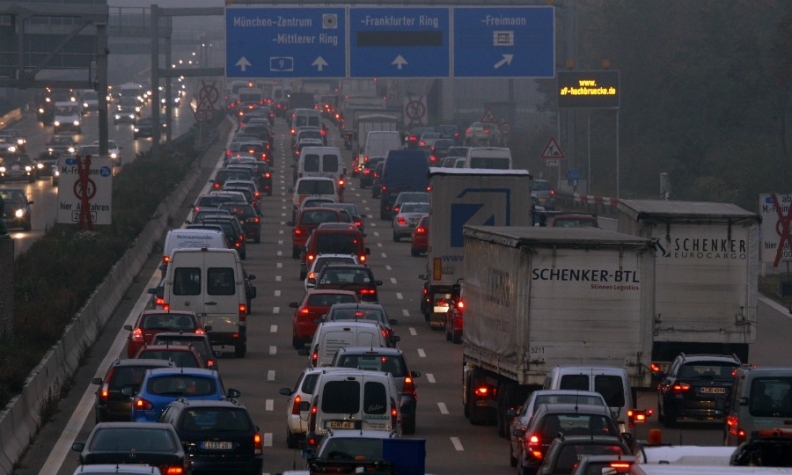 In a joint statement on Friday, Weil and his counterparts from the states of Bavaria (home to BMW and Audi), Baden-Wuerttemberg (home to Daimler and Porsche), Hesse (home to Opel) and North Rhine-Westphalia (home to Ford of Europe) called on carmakers to offer free technological upgrades to buyers of older diesel cars and to give incentives to switch to new diesel models with lower emissions. The German auto industry hopes a plan under discussion with the government to reduce pollution from older diesel cars will avert planned bans in German cities that are deterring consumers from buying diesel cars.